Flea Market Trip with Eddie Ross! This weekend Dave & I went into New York City with Christian & went on a flea market tour with Eddie Ross!! 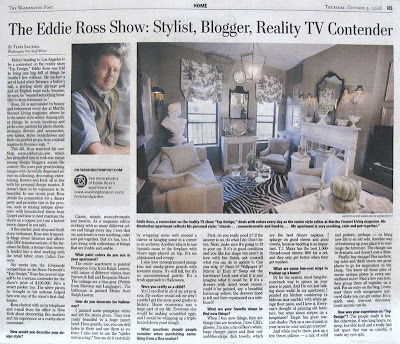 Eddie Ross is one of my favorite designers and the Senior Style Editor for Martha Stewart Living Magazine. 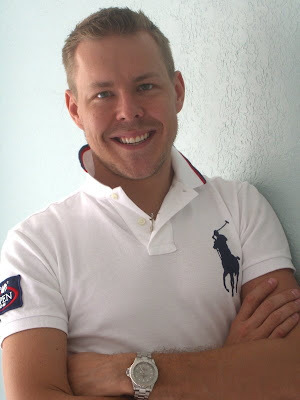 He was just recently on Bravo’s 2nd season of the show Top Design. He’s only 30 years old but has already owned his own catering company, worked as House Beautiful’s Decorating Editor and also as Martha Stewart Living’s Food Editor. His style is defined by his ability to create something out of nothing. He believes we can all have beautiful homes & don’t need to spend a fortune to get them. He is a flea-marketing guru. From eight feet away he can spot a piece of Wedgewood (I saw this happen in person) & can tell you when it was made and how you can get it looking like new again & what you could do with it. We had such a great time meeting Eddie & his partner Jaithan. They’re so warm & friendly & down-to-earth. It was hard for me not to jump up & down & squeal because I was so excited. I can’t believe how knowledgable Eddie is about antiques. (It has definitely rubbed off on Jaithan too because was able to tell me what things were that I had no idea what pupose they could have- like pretty little personal salt bowls- but I ready forgot the proper name!) It was really awesome to see them in action! I’ll write more about my finds on another day!